I had the recent pleasure of attending Orlando’s first ShriekFest, a smaller one-day event satelliting the flagship Los Angeles film festival (October 5-8, 2017) on its 17th year. Thirty-five short films were featured. 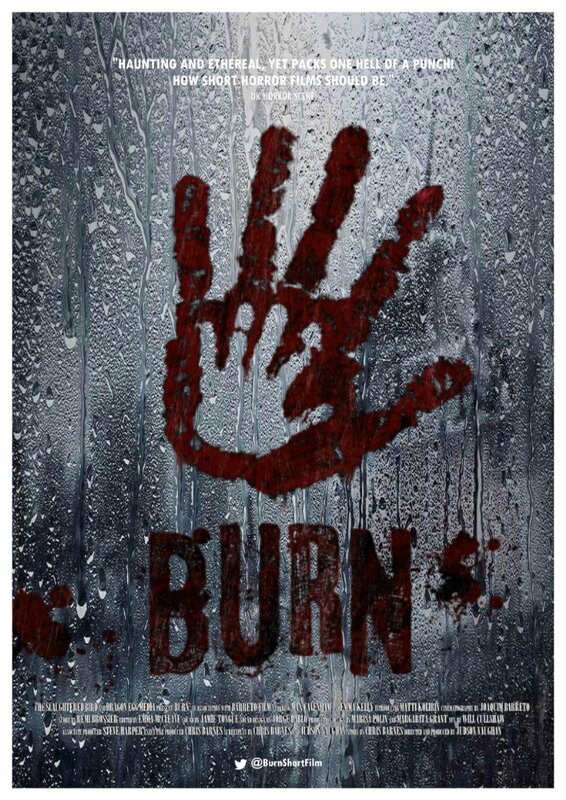 Being a huge enthusiast of horror anthologies and Neill Blomkamp’s latest short film releases (Zygote, Firebase, Rakka) via Oats Studios, I delighted in the variety of styles and flavors that befell the screen. Any of these films would have fit comfortably in a horror or sci-fi anthology movie and, actually, maybe some of them actually will. Films like Agatha and Tethered appealed to dark cautionary fairy tale fans—as you might find in a more mature realization of Creepshow (1982). Some even had a more random ABCs of Death (2013) vibe to them. For example, Daemonrunner and Classified offered a ghostbusting sci-fi videogame draw; Miscast, Play Day and Good Morning seemed more concerned with having fun than creating a serious narrative (not that there’s anything wrong with that); and Savor was a silly (though very well executed) 15-second scene. Foxwood, Santapocalypse, Jack, Burn, Humbug and Megrim were more cheeky—befitting such funny anthology films as A Christmas Horror Story (2015), Trick ‘r Treat (2007) or Holidays (2016), which offered a lot of dark humor. Honestly, I feel like these filmmakers should be using festivals to get together and form their own anthology films. Withheld, Ghosted, Red Handed and Psycho Therapy would all fit well together into a sexually themed horror anthology. The Witching Hour, Jack, Foxwood, Humbug, Miscast and Santapocalypse could go towards forming a sequel anthology to Holidays (2016). A few of these shorts deserve further exploration, even if only adding 5-10 minutes. I’m not at all saying this is indicative of a flaw in the short films—quite the opposite. I’m compelled by them! I wanted to know more about the monstrous girl chained in the bedroom (Agatha), and a more clarified irony of our gruesomely jack-o-lanterned victim (Jack). Whereas Remnants, Echoes of the Past and The Armoire felt like tasters for potential feature length films. Of course, as with an anthology movie, I didn’t expect to enjoy all of the films. Some weren’t stellar, others (softer and/or dramatic science fiction) just weren’t what I wanted to see in a festival with “shriek” in the name. For example, Still Here was a soulful and gorgeously shot “last man on earth” premise, but just didn’t ‘fit’ the venue or event ‘mood’ for me. Call it personal preference, but I’d rather see the films grouped into program blocks following closer to their theme/style. My personal favorites were Burn (boasting equal parts candid sincerity and cruelty, with amazing characters), Tethered (gorgeously shot and harrowing), Blood Sisters (wonderfully executed circumstantial horror comedy), Megrim (light-hearted humor about a haphazard torturer who we likened to a kinder, gentler Human Centipede doctor), Agatha (great creepy draw, even if familiar), Six 2nds to Die (a gory, light-hearted comedy which amusingly felt like it would have made a great “Commercial” to advertise Shriekfest), Cherry Pepper (the Napoleon Dynamite of black comedy horror), and Nightlight (a brief yet sympathetic short about the monster under your bed). 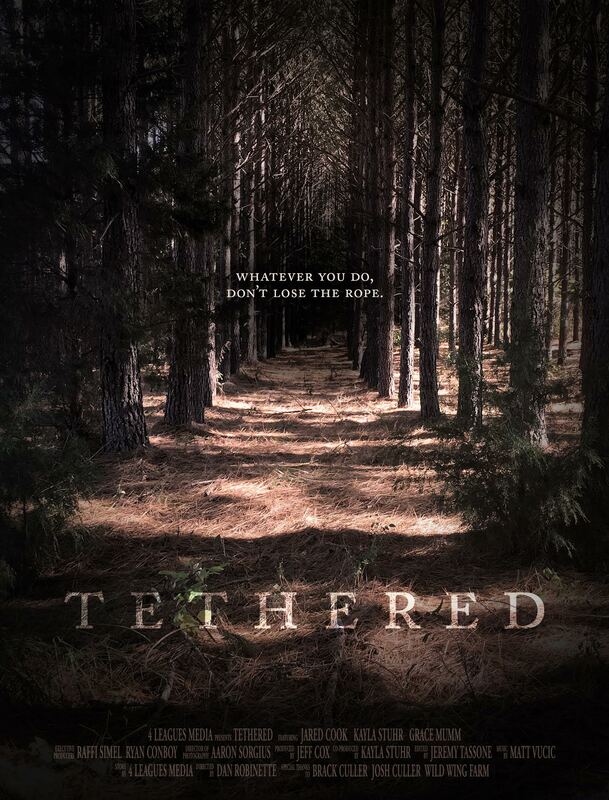 Before their festival circuit release, I had the pleasure of reviewing Burn and Tethered. In fact, it was one of the Tethered filmmakers that invited me to Shriekfest. That in mind, I’d invite any independent filmmakers to send us their work. Having never been to a film festival before, this was a real treat for me. Passersby on the streets of Sanford wandered over from the Saturday farmer’s market to buy a 2-hour block ticket (about 9 short films), only to stay and buy another block once it ended. I brought a horror fan friend of mine who had also never been to such an event and, despite its smaller scale, she loved it as much as I did. 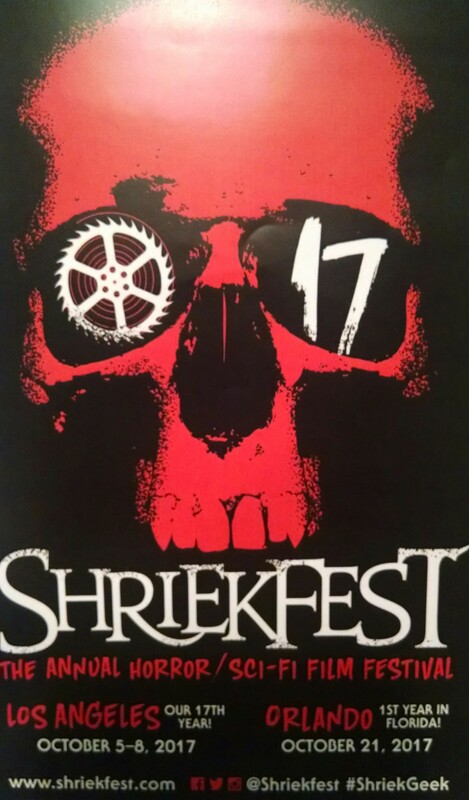 So I certainly hope that Shriekfest Orlando finds its 2nd Annual date in October of 2018. ← John’s Horror Corner: Happy Death Day (2017), Groundhog Day (1993) meets Scream (1996) in this surprisingly entertaining college slasher.